Licensingpages® established in 1998, provides a world-class service for brands, designs, high profile individuals and pets! We specialise in Brand Licensing, Brand Extensions, Collaborations, IP (Intellectual Property) Strategy and Merch. We compliment this service with Social Media management and Customer Engagement initiatives, to deliver our clients a 360º “brand to hand” package. If you are new to licensing you can find information in our ‘Insight’ section. We have connections to licensing related operations in over 6,500 companies in 91 countries. Our MD, Andrew Levy co-authored ‘The Secrets of Success in Brand Licensing’ book. Our MD, Andrew Levy is the Freelance Licensing Director at Brand Finance plc, who are the world’s leading independent brand valuation and strategy consultancy. Our MD, Andrew Levy is the Freelance Brand Director at Alexandra Public Relations, who are the one world’s leading Press and Public Relations companies in the Interiors and Design sector. 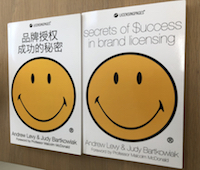 Our MD, Andrew Levy is the co-author of the worlds best-selling book on the subject of Brand Licensing- “Secrets of Success in Brand Licensing” He has part-owned brands, managed a licensing agency and set up and ran the UK office of LIMA (International Licensing Industry Merchandisers’ Association) for 8 years. 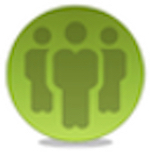 Licensingpages® Recruitment is the leading jobs service for the brand and licensing industry. Founded in January 2007 it offers 2 services: Our agency services every job category that is related to licensing, including Consumer Products Directors, IP Lawyers and Accountants. We have an extremely impressive global client list and an excellent selection of candidates who can fit into all levels of organisations and we have highly competitive rates. Employers can also advertise with us through our Vacancies Jobs Board at very reasonable rate. Licensingpages® – The Directory (est. 1998) was the World’s Leading (largest and most accurate) directory for the brand licensing industry. It contained over 6,750 companies in 91 countries involved in licensing, and included licensees/manufacturers (3,340) and licensing agents/licensors (2,489) and support companies such as lawyers and designers (997). We still maintain and use this database exclusively for our clients, although we no longer allow external access to it.